June 8-June 30, 2010, the storefronts of Brookline Booksmith in Coolidge Corner and A Nubian Notion in Dudley Square were transformed into large video screens, providing pedestrians of each neighborhood with a portal into one another's worlds. The Virtual Street Corners project, created by artist John Ewing, attempts to bridge gaps and break down stereotypes by exploring the commonalities, differences, and shared issues between the two communities. Coolidge Corner in Brookline and Dudley Square in Roxbury are only 2.4 miles apart. Though the Route 66 bus links these two communities, they are home to different socio-economic, ethnic and religious groups. People living in one neighborhood rarely visit the other. were shown in the other, to give residents a view of the other community. On June 11, reporters from the project were at both storefront locations to engage the public and celebrate the project. 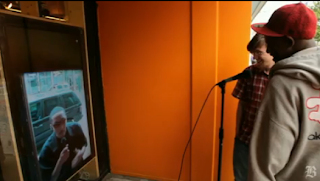 Content was streamed live to both locations and is now housed on the project's website at www.virtualcorners.net. Virtual Street Corners received a Knight News Challenge grant, awarded to projects that use innovative ideas and technology to report community news, from the Knight Foundation in 2009. 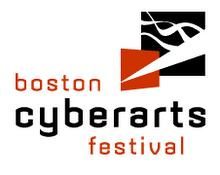 The project is produced by Boston Cyberarts Inc. with additional support from Black Rock Arts Foundation and the New England Foundation for the Arts. The interactive video technology is provided by Providea Conferencing. John Ewing is a Boston-based digital media artist who focuses on public art that creates platforms for social dialogue. His past projects include Ghana Think Tank, currently a finalist for the Cartier Award, and Symphony of a City, portraying Boston from eight different perspectives with "headcams" on residents, that was projected 30 feet high on Boston City Hall and streamed on the web. work participated in the project.